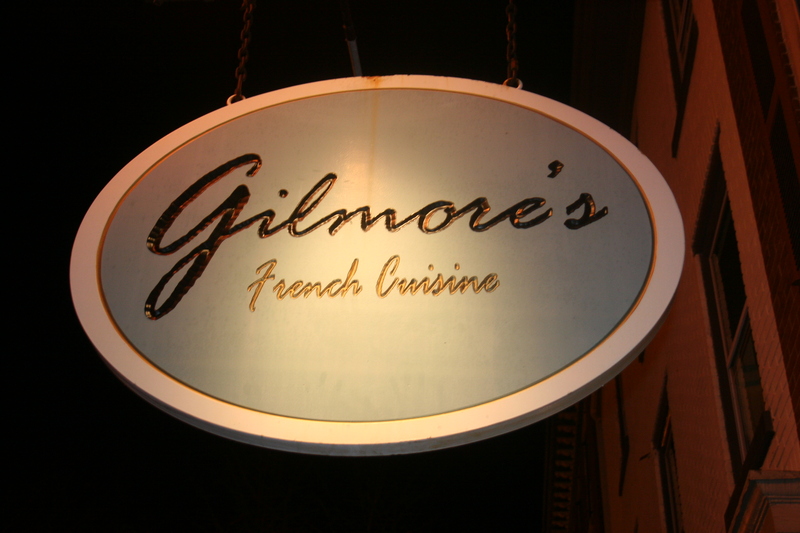 In a TV commercial for The Olive Garden chain of restaurants, there is a tagline that says “when you’re here, you’re family” Last night, eight of us dined at Modo Mio on W. Girard Avenue in Philly and we were made to feel like family. More importantly, we loved the food! It was the same group from our “Winter Weekend in Avalon”, we had just taken in the BodyWorld display at the Franklin Institute, and had chosen Modo Mio for dinner based on a visit I had there last summer. 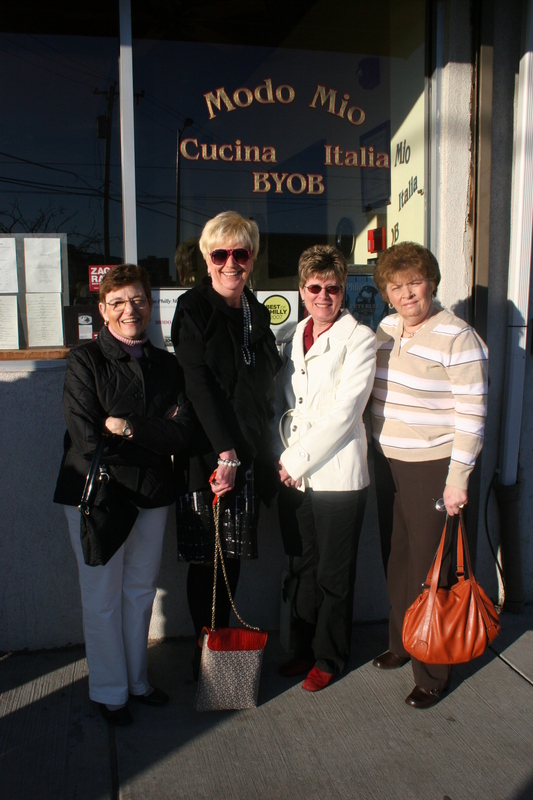 We had a very early 5:00 P.M. reservation and were the first party to arrive at the restaurant. Modo Mio features a four course $35.00 Tasting Menu (Menu Tourista) and although items are priced individually on the menu, this Tasting Menu makes the most sense. 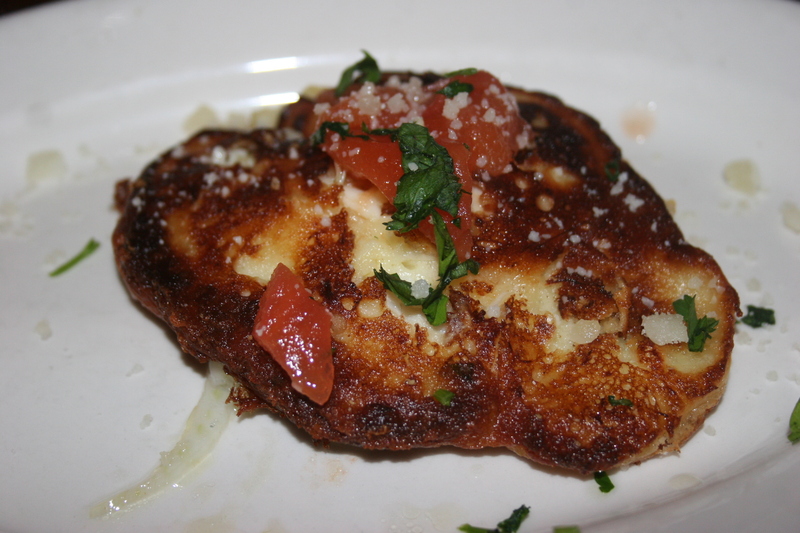 It includes items from the Antipasti, Pasta, Secondi (meat entrees) and Dessert. The Contorni (various veggies or potatoes) can be ordered for the table at $5.00 per item. The system makes sense and offers a wide variety of choices in each category. Did we bring any wine with us? We most certainly did! We had five wines with everyone of them being a winner. 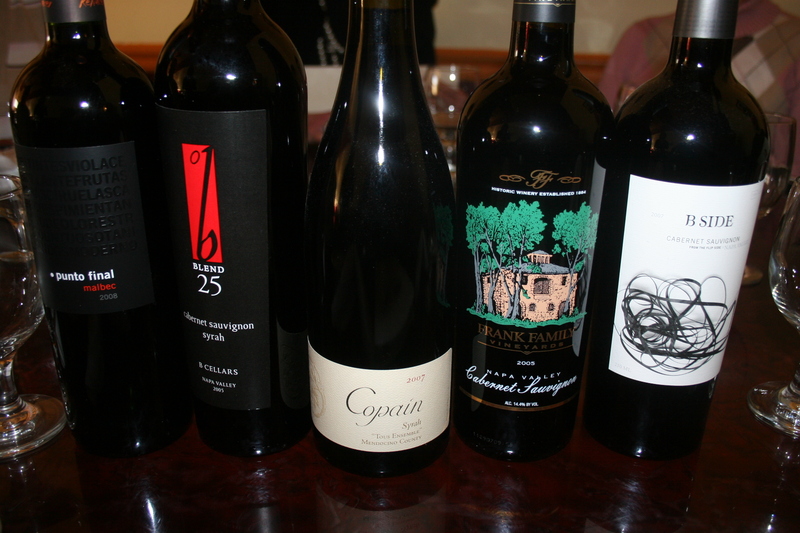 Left to right below we have the 2008 Punto Final, Malbec,the 2005 B Cellars “Blend 25” Cabernet/Syrah, the 2007 Copain Syrah “Tous Ensemble”, Mendocino County, the 2005 Frank Family Napa Cabernet and the 2007 B Side Cabernet Sauvignon. 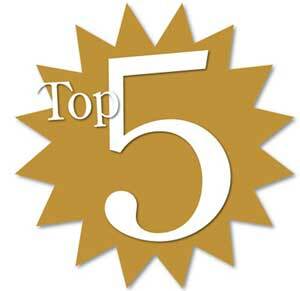 It’s unusual when five wines are equally appealing and even more unusual to have everyone agree with that assessment. I think our entire table felt the same way. Each wine delivered great flavor, true to its varietal and went well with the hardy Italian food. Ahhhhh, the food, where do I start? Well, most of the table chose to start with an item that was NOT on the regular menu, a crab and marscapone cake with truffle and fennel sauce. If this was a preview of what was to come we were REALLY going to enjoy our meal. Caryl G.. had this item to the left and it looked and tasted unusual in a good way. 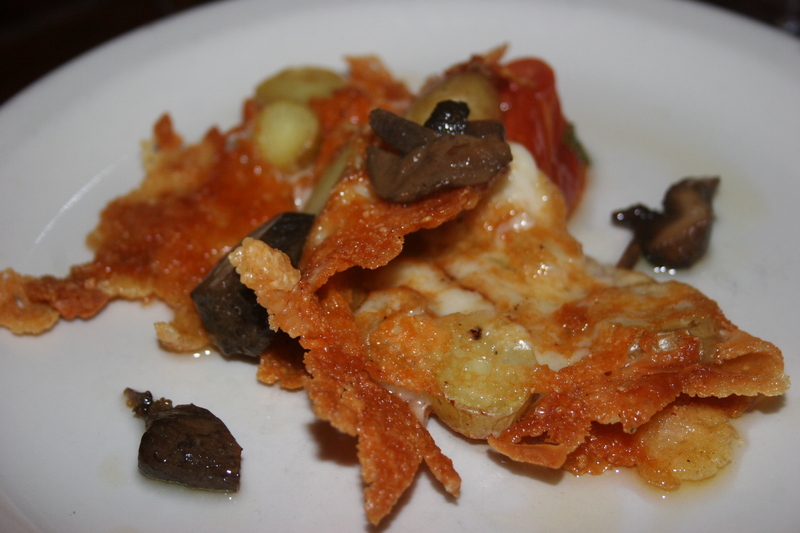 It was called Frico, fried Montasio cheese, potatoes, porcini mushroom conservata. I tasted it though and liked it. 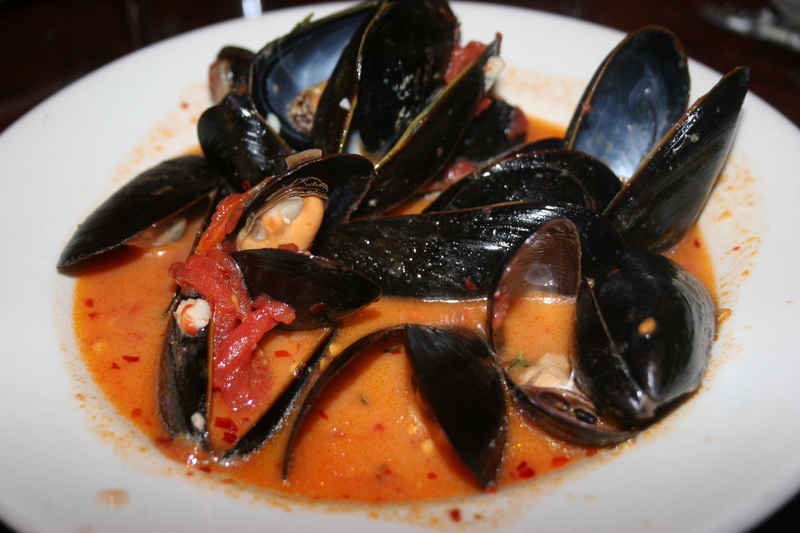 A few people had the mussels which were offered in red or white sauce, spicy or plain. A couple of the guys were begging for more bread to dip in the sauces, our waiter, Maher, would politely refuse saying he didn’t want them to fill up on bread, and then he would discreetly have additional bread delivered to those who requested it. Maher was a pleasure the entire evening. 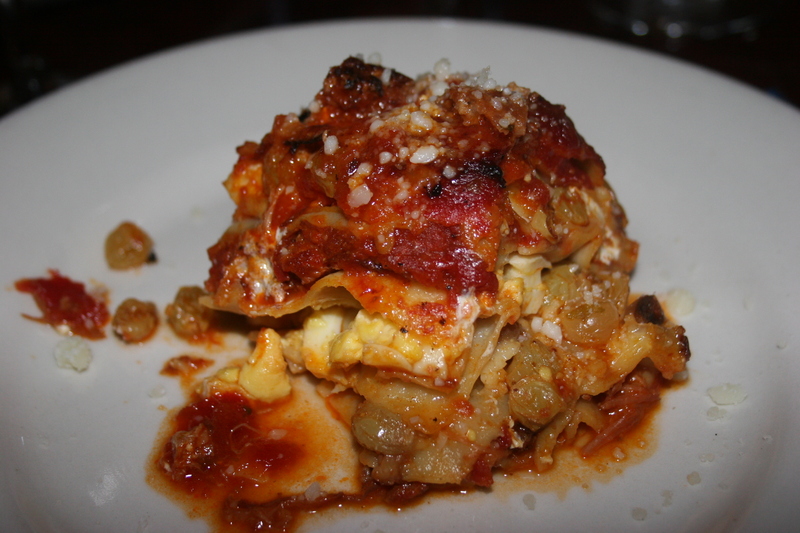 Now it was time for the pasta dish with the majority of the table opting for the Lasagna della Nonna, grandmother’s lasagna with sausage and meatballs, hard cooked egg, raisins and mozzarella (yes that DOES say raisins). This was delicious! 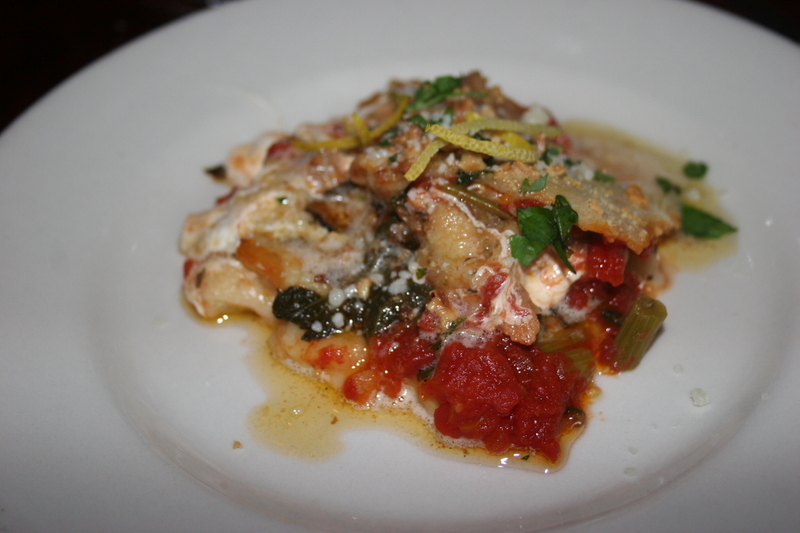 It had a certain sweetness, probably something to do with the raisins and if you are thinking, “I don’t want sweetness in my lasagna”, and I wouldn’t blame you for thinking that, you just have to try this dish to see just how good it was, and all of us agreed. 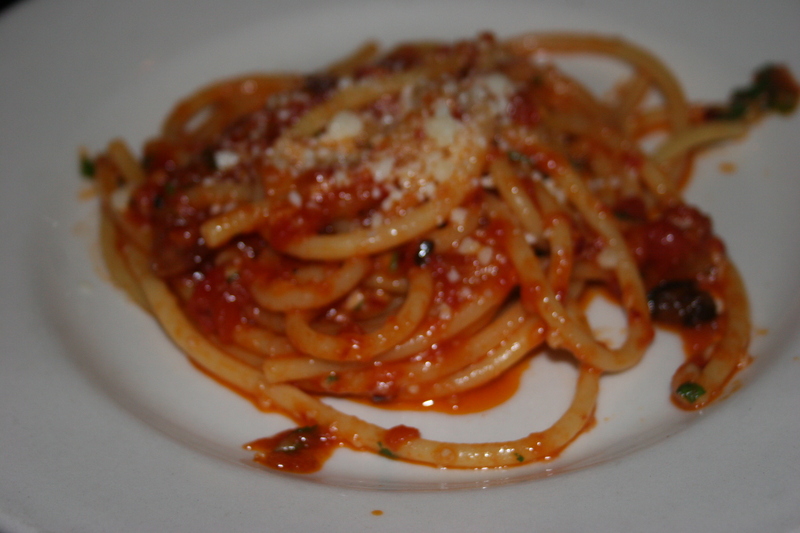 The non-lasagna group all chose the Bucatini Amartriciano, thick, hollow spaghetti, spicy plum tomato, Pecorino Romano. The key phrase here is SPICY plum tomato. My wife Kathy thought the spicy should possibly be changed to “blazing fire in your mouth” plum tomato. I think I had this pasta on my first visit. It’s one of those dishes where you keep your wine and water glass at the ready and keep eating while your mouth begs you to cease input but it’s just too good to stop. 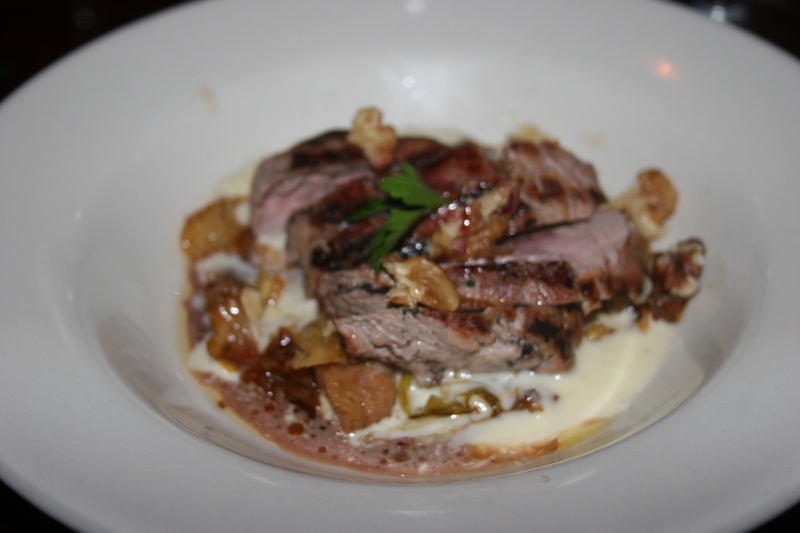 My entree for the evening was also from the “specials” list, Mariale, grilled pork tenderloin, gorgonzolla fonduta, cabbage, agrodolce and walnuts. The combination of flavors was wonderful with the Contorni we had chosen for the table (roasted rosemary potatoes, broccoli rabe with garlic and lemon and egg-battered cauliflower with parmesan and lemon) adding just the right touch to complete the meal. 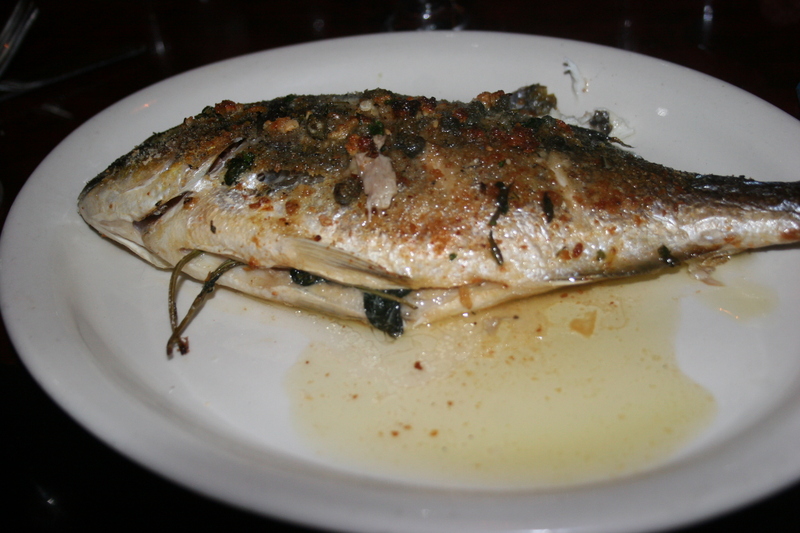 A couple of our more adventurous diners selected another of the evenings “specials”, the Orata, a white fish similar to Bronzino, oven roasted with fresh lemon, olive oil, capers and herbs. They seemed happy with their choice and I heard no complaints. Gerry and Kathy had the veal cheeks. On the menu it was listed as Guance, veal cheeks, chef’s choice, trust him. They trusted him and had no regrets. Kathy B. chose the Gatto, potato and eggplant torta, broccoli rabe, fresh mozzarella and hazelnut brown butter. The addition of the eggplant would exclude it from my own choice but Cathy found it excellent and that’s what counts. As we finished our meal, Gerry, John G. and John B. stepped outside for their ritual after-dinner cigar. 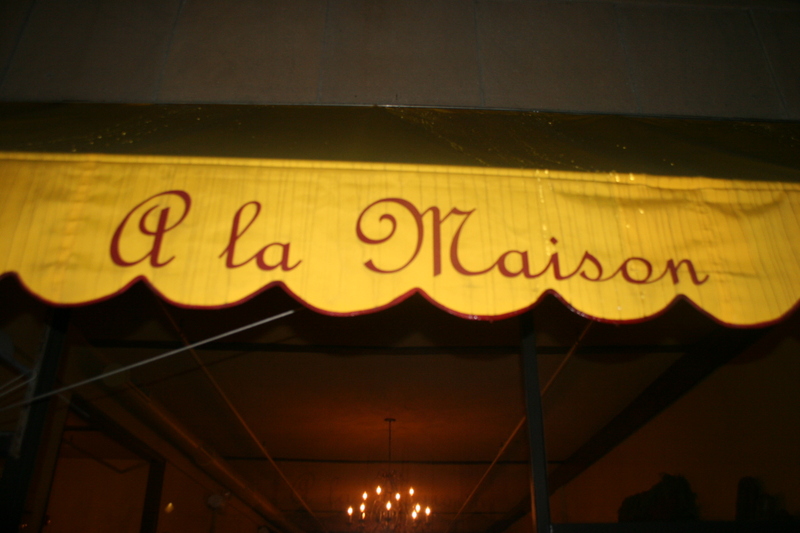 While there they encountered chef/owner, Peter McAndrews who was returning from Paesano’s, a sandwich shop across the street that he also owns. Paesano’s is not just ANY sandwich shop. It has garnered rave reviews from a number of different critics and “Best of” honors from a few different sites for their unusual and tasty sandwich creations. McAndrews has recently opened a second Paesano’s at 9th and Christian in the Italian Market. 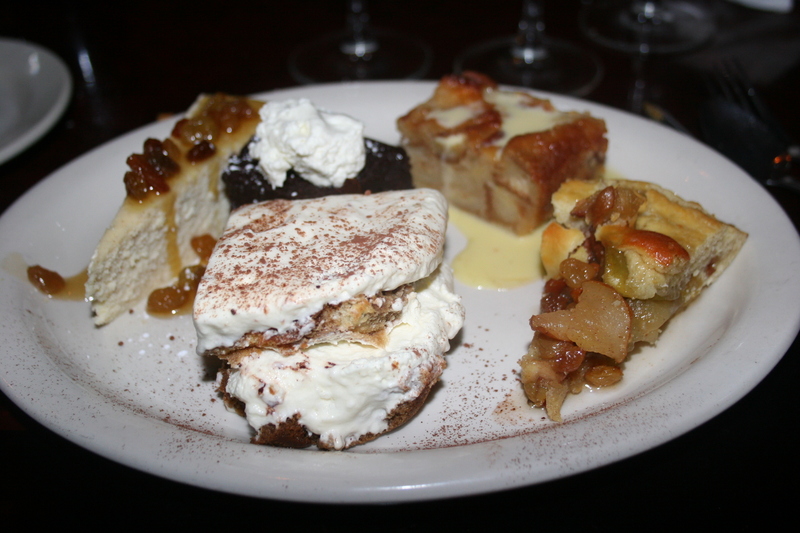 of all of their desserts as a “sampler”. It would be hard to pick one over the other as they were all delicious. The flourless chocolate cake was my personal favorite. 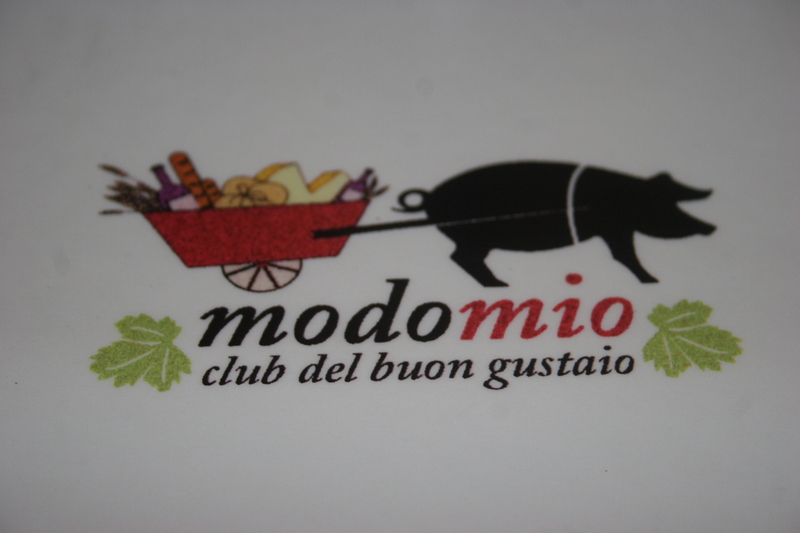 As I mentioned earlier, we really did feel like family during our dinner experience at Modo Mio. 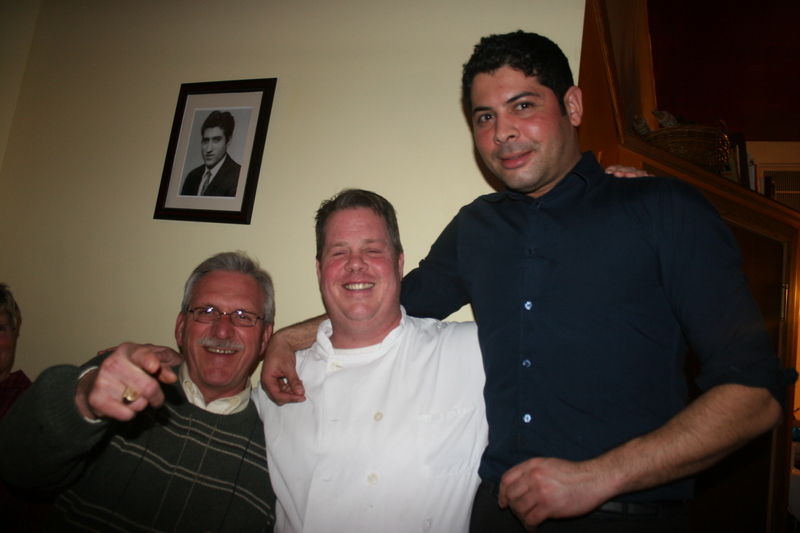 Chef McAndrews certainly demonstrated that an Irishman can cook Italian and do it well. 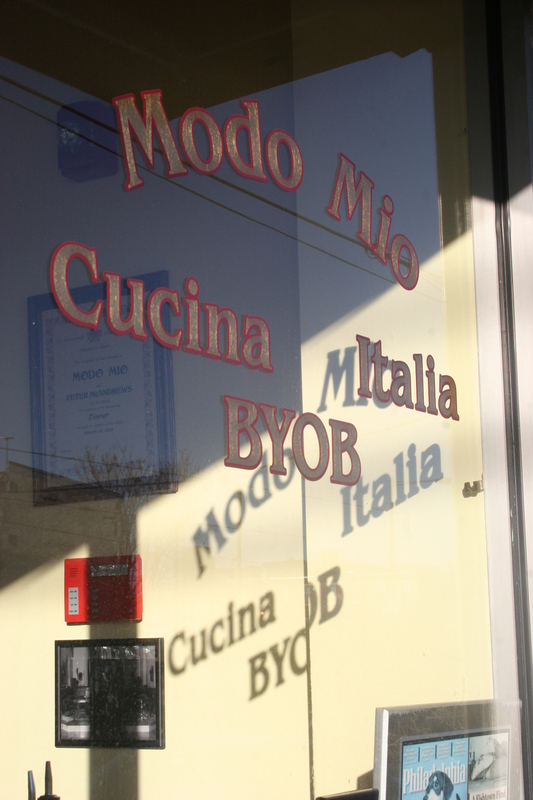 The food and atmosphere at Modo Mio are first class. 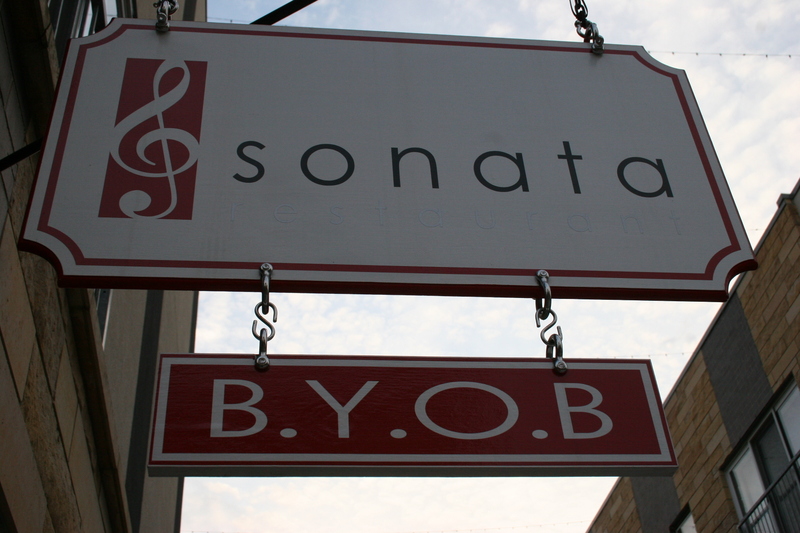 Do yourself a favor and make reservations for this outstanding BYOB in the Northern Liberties section of Philadelphia. 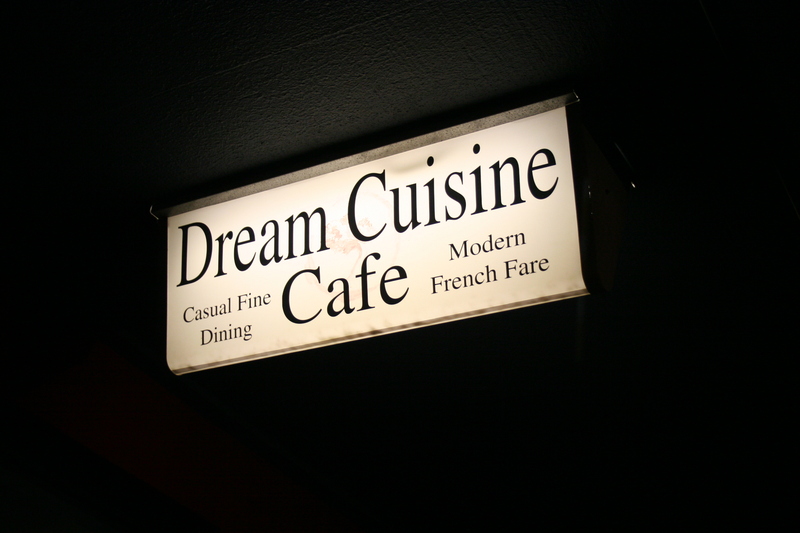 I neglected to mention that Chef McAndrews treated our entire table to a round of Sambuco providing the perfect exclamation point to a great meal.